This morning we are pleased to introduce our new Chairman, Terry Duddy who is to lead the Catch22 Trustee Board. Chris Wright our Chief Executive comments on how Terry's experience will help drive our social mission. Today we are excited to announce the appointment of retailer and experienced businessperson Terry Duddy to lead our trustee board. Terry succeeds Jim McKenna, who has led the organisation for 11 years, and today we thank Jim for the commitment he has shown Catch22 over the past decade. Terry joins our strong board of trustees including Danny Kruger (the Government’s Expert Advisor on Civil Society), Ben Cooper (Controller of BBC Radio 1 and BBC Radio 1Xtra), Elaine Bailey (CEO of Hyde Housing) and Kieron Boyle (Chief Executive of Guy’s and St Thomas’ Charity). Terry is currently interim-Chairman of Debenhams Plc and a Non- Executive Director of Majid Al Futtaim Properties and GEMS Education. 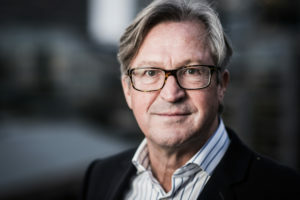 Previously, Terry was Chief Executive of Home Retail Group Plc from 2006 until 2014, Chairman of the retailTRUST charity from 2014 until 2018, and recently stepped down as Senior Independent Director of Hammerson Plc. Chris Wright, Chief Executive of Catch22, commented: “We’re delighted that Terry has agreed to join and lead the Catch22 board. We are a large and diverse organisation, and a key priority for us is driving reform and innovation through the day to day work of all of our colleagues. Terry’s experience in running complex national companies will support us in delivering our social mission in the most effective, forward thinking way. Catch22 is a social business working at every stage of the social welfare cycle, read our Social Business Review 2018 here.